Our whole team is at your disposal for a successful holiday, helping you to prepare and organize locally. The Office of the Ax Valleys Tourism is a team of 14 permanent employees and experts of the territory. Sylvie, Céline, Isabelle, Yannick, Myriam, Annie, Elodie help you plan your stay and welcome you to our four-point information. They will advise you and give all the elements to make your stay a success. Fabienne, Sylvia et Aurélia offer a selection of booking accommodation and all-inclusive stays and tips. 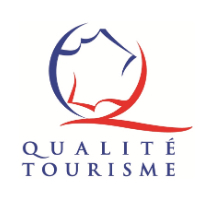 The Tourist Office will among its members as accommodation that is tested or certified. Camille, is the boy of the house, the expert in digital, web, social networking, digital displays ... that's his job! Agnès manages all logistics and is responsible to observe tourism of Les Vallées d’Ax. Marie-Jo, is our office manager, figures it's his hobby!